"DR Sporten erfarer, at Giro d'Italia starter i Herning i 2012. Hernings borgmester Lars Krarup vil ikke bekræfte det. Men han siger, at der på et pressemøde i Horsens fredag vil blive annonceret, at en stor sportsbegivenhed kommer til Herning. Og det er ifølge DR Sportens oplysninger det store italienske cykelløb, der er tale om. Noget kunne tyde på, at Horsens også bliver involveret i løbet, i og med det bliver offentliggjort der og ikke i Herning. De midtjyske byer er blevet valgt frem for Washington DC og Monaco." 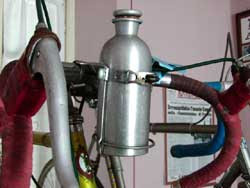 "DR Sport understands that the Giro d'Italia will start in Herning in 2012. Herning Mayor Lars Krarup would not confirm it. But he says that at a news conference in Horsens tomorrow a major sporting event will be announced that is coming to Herning. 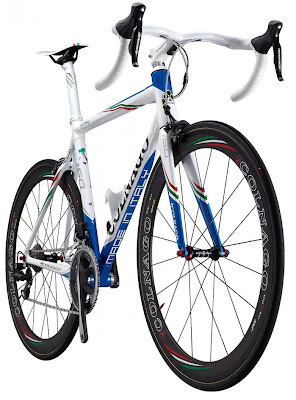 And it is, according to DR Sport information, the major Italian bicycle race. It would seem that Horsens also is involved in the race, with it being announced there and not in Herning. The central Jutland cities have been chosen over Washington DC and Monaco." Tomorrow is April Fool's day...let see what happens! Stories for the Italian Cycling Journal about rides, granfondos, having a good time cycling in Italy, Italian cycling history, etc. are always welcome. Contact me at veronaman@gmail.com. There are more than 1,800 stories in this blog. The search feature to the right works best for finding subjects in the blog. There is also a translate button at the bottom so you can translate each page. We issued this alert back in January. Pinarello has now issued a new warning on imitation Pinarello bikes entering the markets. According to Pinarello they originate from online stores, mostly from Asia. 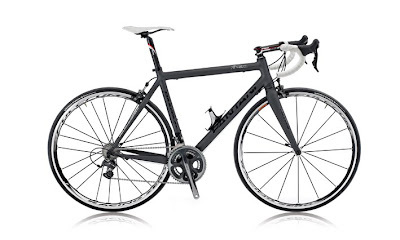 A Pinarello Dogma for half the regular retail price or even less? 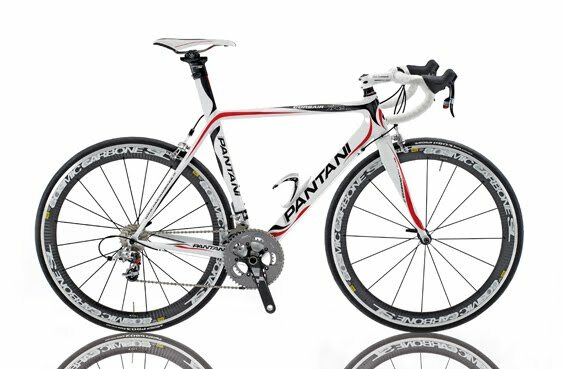 Lots of road race enthusiasts are attracted by such prices and there are number of cases in Europe and North America with buyers actually purchasing such fake Pinarello’s. Most of them originate from Asian internet sites but as the company is warning – these are not the same bikes as the originals. 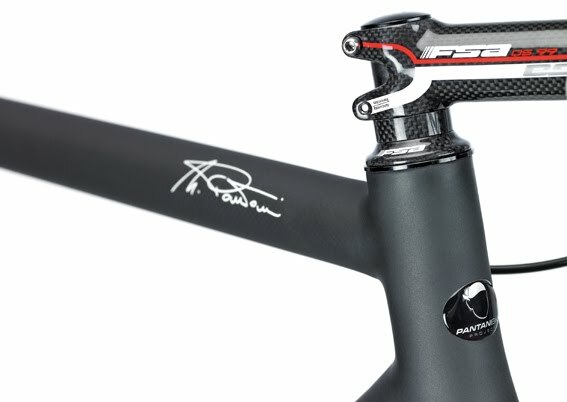 They are made from inferior materials and then painted and labeled with fake Pinarello transfers. Next to quality issues the buyers of such bikes are also faced with warranty problems as Pinarello is of course not offering its regular after sales service on the imitation Pinarello’s. "Giro d'Italia, the most intense and exciting professional cycling race in the world, is an Official Partner of Gran Fondo New York. The partnership between the two races was forged based on the Italian cycling heritage of Gran Fondo amateur racing coming to the world's greatest city, New York, and Giro d'Italia being the most prestigious professional race in Italy. The concept of cycling competitively over a long route is a groundbreaking concept in the New York metropolitan area and already in its first year, Gran Fondo New York is making history as the largest competitive non-running event. The inaugural Gran Fondo New York takes place on May 8, 2011 and will see thousands of cyclists from five continents ride and race from New York City to Bear Mountain and back in a 107-mile course. Giro d'Italia has the world's most passionate fans and is an inherent part of the Italian culture. 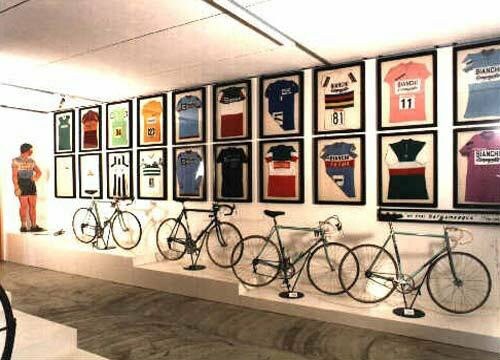 While the first Giro stage kicks off in Italy on May 7, 2011, cycling fans in New York City can take part in the Giro d'Italia excitement at the Gran Fondo New York expo. 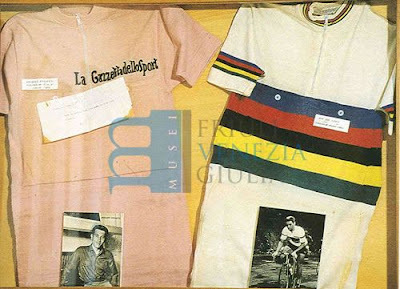 Giro d'Italia will present classic pictures of the race, official Giro merchandise and broadcast past stages of the race at the two-day expo at Roseland Ballroom in midtown Manhattan on May 6 and 7, 2011. 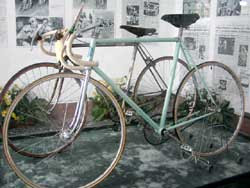 The Giro is associated with high-profile racing, fame and aspiration. At Gran Fondo New York, big dreams can be attained by amateur cyclists. Gran Fondo New York is an Official Qualifier for the UCI Amateur World Championship, which takes place in Belgium in September. The UCI amateur racing series is the new frontier in cycling that enables everyone to compete and to achieve personal goals. "At Giro d'Italia, professional riders of Team Sky and Team Movistar represent our brand with their strong performances. At events like La Pinarello Cycling Marathon and Gran Fondo New York, Pinarello gets a one-on-one interaction with the amateur cyclists who are the end-users of our products" said Andrea Pinarello of Cicli Pinarello. "I am looking forward to riding Gran Fondo New York, it will be a lot of fun." and true passion for cycling." The President of the Italian Cycling Federation and Vice President of the International Cycling Union, Renato Di Rocco, also attended the Gran Fondo New York press conference in Milan. Di Rocco said "With the creation of the UCI World Cycling Tour, the International Cycling Union provides a platform for amateur racers to compete in a true Amateur World Championship. We're delighted to have Gran Fondo New York as one of the Official Qualifier events for the World Championship in Belgium in September." The day after the Gran Fondo New York press conference, the Milano-Sanremo professional cycling race was taking place. Gran Fondo New York caught up with George Hincapie before the start. During a brief interview, Hincapie said "It would be great to get the chance to ride Gran Fondo New York. The course is on my old stomping grounds." To date, cyclists from 33 countries and 34 US states are registered to ride in Gran Fondo New York. In its inaugural edition, the event already boasts among the largest and most international cycling fields in the world." 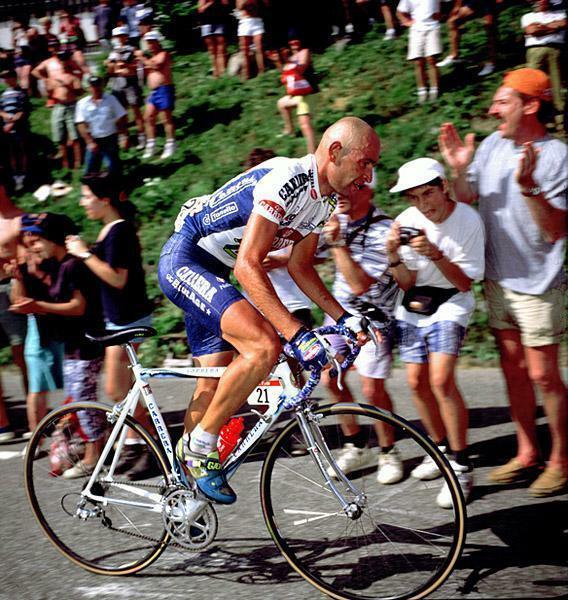 "Grupetto Italia, importers of fine Italian cycling products, are now able to offer their customers the full range of Pantani bikes in the UK. 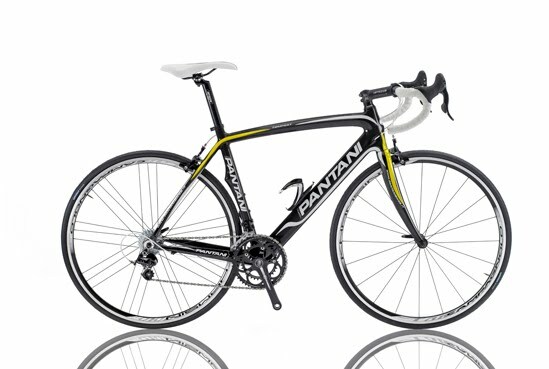 Following an agreement with Podium, the Builders of Pantani have developed a collection of stunning new models for the 2011 range. Under the title of the "Pantani Bike Project", and supported by Pantani's family, bicycles bearing the "Marco Pantani" signature are now part of the Grupetto portfolio. Aiming at both fitness,sportive, race and elite riders the choice is exceptional with all budget levels covered. As with many true champions, Pantani was known for demanding the very highest level of performance from his bikes, often spending hours with his mechanics fine tuning and making marginal adjustments on the eve of major mountain stages. The bikes he rode to his early and, arguably his most successful victories in the Tour de France and Giro d'Italia, where made by Podium and his parents, Paolo and Tonina, have now turned to the same firm (owned by ex-pro Davide Boifava who also built for Stephen Roche and Claudio Chiappucci at their prime ) to build the Marco Pantani models. The resulting Pantani Bike project has developed some beautiful carbon frames that use the very latest materials and technology with bikes aimed at riders who want the very best in both performance and appearances. Some of the stars of the range can be seen below, all of the range can be bought as complete bikes built up with either Campag, Shimano or SRAM and FSA/Mavic finishing kits or as Frame and forks only. For more information visit www.grupettoitalia.co.uk"
A few other models are also available, see www.grupettoitalia.co.uk for details. 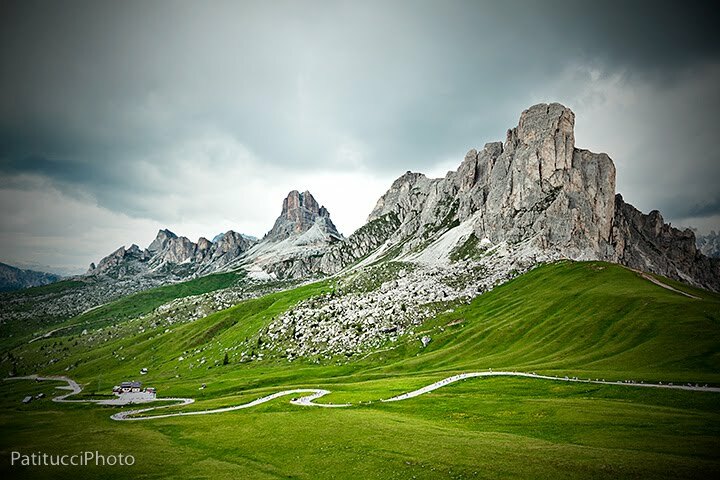 Experience the passion and the glory of cycling's most epic race by riding part, or even all, of the 2011 Giro d'Italia. The Prostate Cancer Charity, in partnership with Sharp Electronics, have teamed up with Phil Deeker and Classic Tours to offer up to 200 riders the ultimate Grand Tour riding experience, in a bid to raise significant funds to improve the lives of those affected by prostate cancer. The Gran Corsa d'Italia offers a once in a lifetime cycling experience; riding fully supported in the tyre tracks of the pros, accompanied by team members from Rapha Condor Sharp on each stage. The route, designed to celebrate the 150th anniversary of Italy's unification, takes in almost every region's highlight - from Sicily's Mt. Etna to the Dolomites. Setting off from Turin on 29th May, the Gran Corsa team will follow each of the 21 stages, including seven mountain top finishes. Riders will arrange their own travel to and from the event, and book half board accommodation through our tour operator Classic Tours, and commit to raising sponsorship for The Prostate Cancer Charity. Riders taking part in one pack will pledge to raise £500, £750 to combine 2 packs, and £1250 to take part in 3 packs up to the full route. All of the other arrangements are taken care of by Classic Tours, from transfers between stages, route signage, feed stops and luggage transportation. We have split the 21 stages of the Giro d'Italia route into 7 packs, designed to allow you to find a selection of stages to suit your ambitions and cycling preferences. Each pack includes 3 stages (which can be combined). Pack 1: The Rouleur's Romp 29-31 May 2011 - Get yourself started with 3 flat stages, for a long distance challenge. Pack 2: The Trio for Tourists 1-3 June 2011 - An exceptional selection of coastal stages for those seeking the 'real Italy'. Pack 3: The Weekend Warrior Whirl 4-6 June 2011 - Experience the combination of sea side flat stages, and the remarkable climb of Mount Etna. Pack 4: The Roule 'n Roll Party 8-10 June 2011 - Take on the wild, undulating countryside and historic hill-top towns. Pack 5: The Pain Pack 12-14 June 2011 - A Dolomite extravaganza, allowing you to list the Zoncolan on your list of cycling achievements. Pack 6: The Glory Pack 15-17 June 2011 - Spectacular climbs, and stunning views of Lake Como; Northern Italy in all its glory. Pack 7: The Finale Pack 18-20 June 2011 - Ride over the Colle del Finestre and Sestriere and share in decades of cycling tradition; celebrate the conclusion of the Gran Corsa d'Italia in style! Riders will organise their own travel to and from the Italy, and pay for their accommodation (booked through our tour operator at an average cost of 50 euros per night). We recommend riders book their flights to arrive the night prior to their first stage, and to depart the day following their last stage. All transfers and meals within the tour will be provided through our tour operator. Take a look at our information sheet to find out what you will need to apply, and download our stage selection guide. Finally complete the application form. We are limited to 200 participants, so apply early to secure your place. 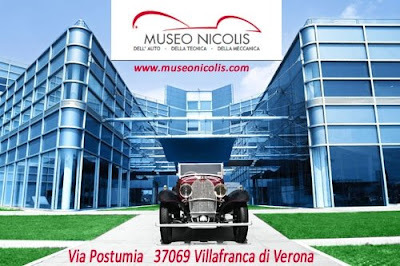 Registration and all details at Gran Corsa d'Italia. 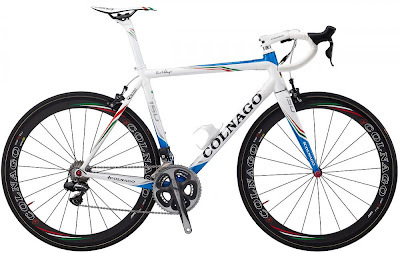 Registrants will also have a chance to win a limited edition Condor Acciaio bicycle. 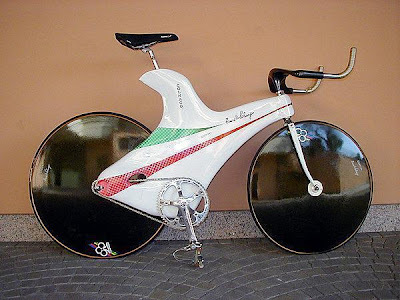 Italian national champion Giovanni Visconti's "Cipollini RB1000", in the one-off Italian championship colors, was stolen out of his car today in Vicenza. The precautions to park the car in front of the reception of the hotel and to cover the bike that was in the trunk were not enough to deter the thieves that broke through the glass to get in. It's (another) reminder that you do have to be careful about your bike. Bikes do get stolen in Italy. 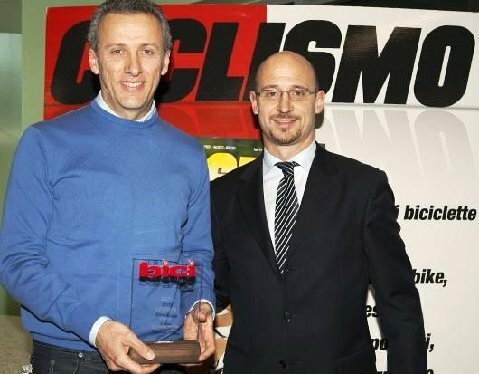 Ivan Basso and Vincenzo Nibali having been also working on a new TV ad in which they cook up a pair of Sidi cycling shoes. By the way, gold shoes are in. For the record, Ivan Basso uses Genius 6.6 Carbon Lite shoes, while Vincenzo Nibali prefers the Ergo 2 Carbon Lite model. Visit www.sidisport.com to see video clips with Basso and Nibali on the set as they are making the commercial. ZOLA PREDOSA, Italy, March 26 - Thieves broke in to locked Team Type 1 - sanofi-aventis vehicles overnight on Friday in a parking lot outside the race hotel, stealing more than 500,000 euros worth of bicycles, tools, spare parts and equipment, forcing the team to abandon the start at Stage 5 of the Settimana Internazionale Coppi e Bartali in Italy. Team mechanics came out on Saturday morning and found the front window of a team car smashed and the vehicle pushed back from the back door of the locked panel van used to store equipment. The locks on the side and back doors of the panel van were forced open and all bicycles, tools, wheels, spare parts and equipment were stolen. The large luggage door underneath the team bus was pried off and removed from the vehicle and all bikes mounted in the storage bin under the bus were stolen. Police were called and arrived around 8:30 am, and began an investigation. "This is a sad and terrible situation. We are devastated by the loss of so much equipment and the invaluable sizing and measurement information for our time trial and race bikes. 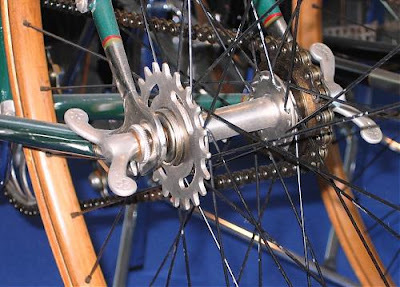 It's only a matter of time before these bikes resurface for sale somewhere, and we simply ask our friends and supporters to help us find the bikes and help the police catch the thieves," said Director Sportif Vassili Davidenko. The following statement was also issued Team Type 1 CEO and Founder Phil Southerland: "Having to withdraw from Coppi-Bartali as a result of the devastating loss of equipment is a tremendous disappointment for the team, especially after riding so well here with Rubens and Lazlo both in the top ten in the time trial on Stage 4 and Andrea 2nd in the sprint in the opening stage. It’s an unfortunate situation but our immediate priority is getting our guys back on bikes. We have extraordinary partners in sanofi-aventis, Colnago, Shimano, Limar, and Park Tools, and are working closely with all of them to ensure our guys can be ready to compete in Vitre on April 1st." There are whispers and rumblings that the 2012 Giro d'Italia will not start next year in Washington D.C. To repeat, these are whispers and rumblings, totally unconfirmed. 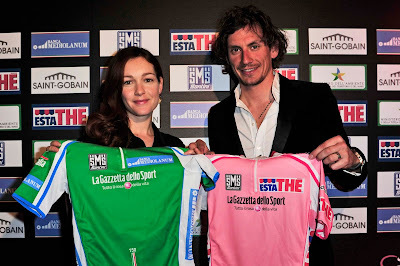 It was back in November, 2009, when according to La Gazzetta dello Sport, the Giro d'Italia was considering starting its three-week race outside of Europe for the first time. 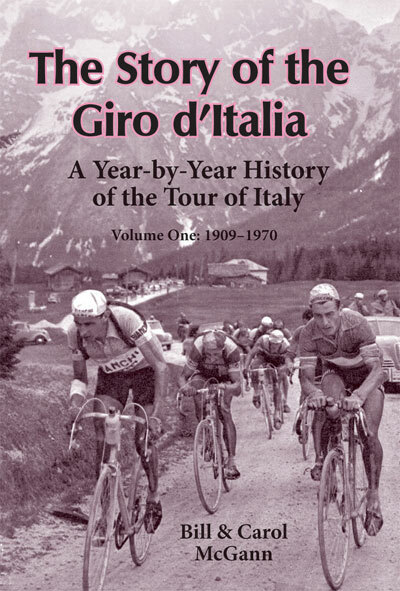 "For some time we have had the idea of holding the Giro's start in America. But now there exists a concrete interest from the city of Washington," said race director Angelo Zomegnan. Wahington's then Mayor, Adrian Fenty, a cycling fan was very interested in the project and was supporting it (see Parts I, II, and III for more details). Two important meetings took place in Washington in December, 2009, between a delegation from RCS Sport, led by Angelo Zomegnan, and Mayor Adrian Fenty and city authorities. In February, 2010, Washington D.C. a reception was held at the Italian Embassy with Ambassador Giulio Terzi di Sant’Agata, Washington D.C Mayor Adrian Fenty and Giro director Angelo Zomegnan. Although nor formal announcement was made the working group updated the gathering on the planning. The original plan of a prologue plus a stage was changed. The new plan called for a prologue on a Saturday, return to Italy on Sunday, rest day on Monday, and the Giro then starting on Italian soil on Tuesday. In May, 2010, a delegation from Washington D.C. visited Amsterdam to get an idea of the logistics involved with putting on the start of a Giro. In September, 2010, Fenty lost Washington D.C.'s mayoral primary election to Vince Gray. "Washington, D.C., is doing some fantastic things right now, and we both want those fantastic things to continue," said Fenty. Since then the project has gone quiet in the media. The political demise of Mayor Fenty may have been the undoing of the project. Angelo Zomegnan, Director of the Giro d'Italia, mentioned the matter today during a conference in Milano. "The sport's justice process is slower than we would wish", said Zomegnan. 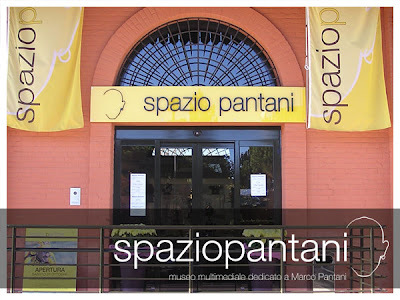 "Clearly, something is not working in the guarantee of our event. I have my hands tied, I can not tell Contador to go home if he and his team want to take part. There is always the presumption of innocence and Contador at the moment is an acquitted athlete in a process and is free to race. But it is clear that this is not the ideal situation." 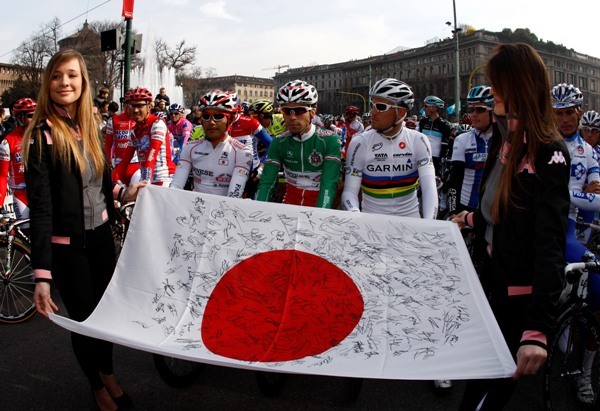 www.all1sport.com is auctioning a Japanese flag that rider Takashi Myazawa (Farnese Vini) brought to the start of Milan-Sanremo; the flag was signed by all the riders in the race. Also at auction is the jersey Takashi Myazawa wore at MSR. Funds raised in the auction will be donated to the charity of Myazawa's choice for earthquake victims in Japan. 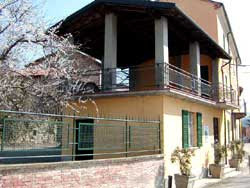 The auction ends March 26, 2011 at 2400 (Italy time). At the moment the flag is at 1500 euro and the jersey at 300 euro. On Novemebr 8, 2010: The UCI requested the Spanish National Cycling Federation (RFEC) to open disciplinary proceedings against Contador on the basis of an analysis report indicating an abnormal result (presence of clenbuterol) in a urine sample taken from the Spanish rider during a test carried out on 21 July, the second rest day of the 2010 Tour de France. In accordance with the provisions of the World Anti-Doping Code applicable to the case, the UCI thus declared the provisional suspension of Alberto Contador from 24 August 2010. If necessary, the UCI and the World Anti-Doping Agency would have the option to appeal the RFEC’s decision. January 26, 2011: It was reported that the RFEC had decided to impose a one-year ban on the 2010 Tour de France winner. Contador had 10 days to appeal the decision before the final opinion was to be issued. He consistently denied doping and defended himself by saying the Clenbuterol got into his system after ingesting contaminated beef. 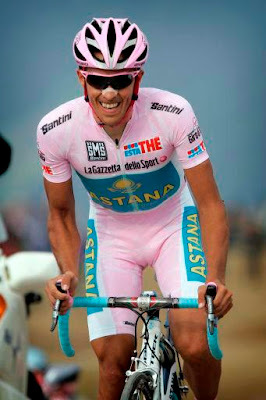 February 15, 2011: The RFEC made a dramatic and surprise reversal to acquit Contador from doping charges. The ruling, although open to appeal by the UCI, allowed Contador to become immediately elligibale to begin racing. 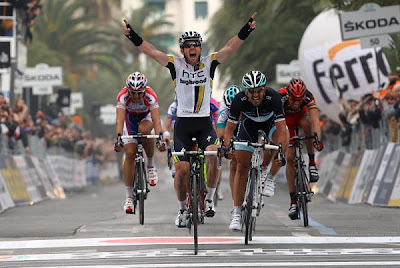 He immediately entered the Volta ao Algarve (February 16-20), finishing 4th overall. He followed that with two stages victories at the Vuelta a Murcia (March 4-6) to take the overall title. March 24, 2011: The UCI today decided – within the time frame stipulated by the Regulations – to appeal to the Court of Arbitration for Sport (CAS) in Lausanne against the Spanish Cycling Federation’s (RFEC) finding. The decision to appeal comes after an in-depth study of the file received from the RFEC. The CAS's general secretary, Matthieu Reeb, warned of a lengthy procedure ahead. Contador is currently riding in the Volta a Catalunya (March 21-27) where he has the overall lead. If the Court of Arbitration for Sport (CAS) decides in favor of the UCI, and if Contador receives a one year ban, all the victories back to July 21st would be stripped. As it is highly unlikely that the CAS would have a decision before the start of the Giro on May 7th it is conceivable that Contador could start, win, and have his title stripped soon afterward. What a mess. 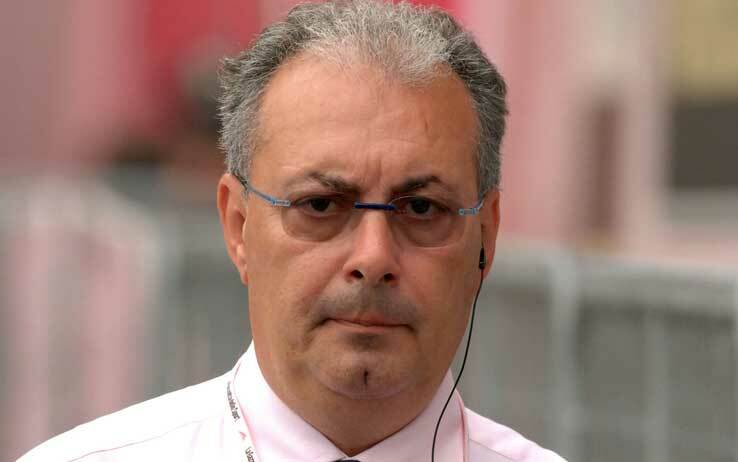 It will be interesting to see what Angelo Zomegnan, Director of the Giro d'Italia will have to say. 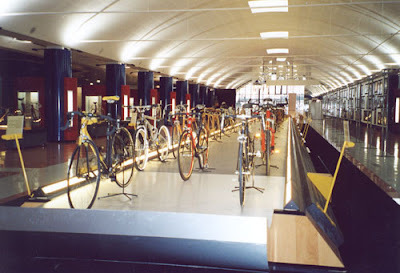 The opening of a new museum, the Museo della Bicicletta di Bra (Cuneo), presents an opportunity to update this list. Please contact me with any additions, or corrections. Photos of visits welcome. Due to overwhelming requests, Gran Fondo New York will also offer a non-competitive Medio Fondo. The 71 mile/115km course features most of the spectacular features of the gran fondo including the George Washington Bridge, the charming Hudson River towns of Piermont and Nyack, three aid stations, two timed climbs and a stunning finish facing the midtown Manhattan skyline. The elevation gain is 2570ft/783m. Mapmyride information here. According to Gran Fondo New York there are only a limited amount of Medio Fondo New York entries available. The gran fondo distance is 107miles/172km and the elevation gain is 5400ft/1650m. Mapmyride information here. The Gran Fondo New York is one of the events that make up the new UCI World Cycling Tour. Amateur cyclists now have the chance to earn a coveted UCI rainbow jersey. Italian actress, Cristiana Capotondi, presented the new collection of Giro d'Italia jerseys at Dolce & Gabbana last night in Milan. 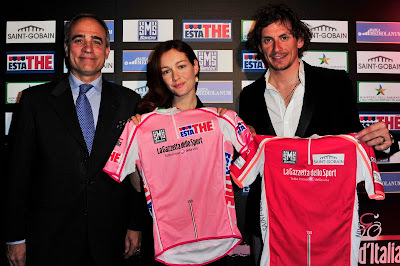 Capotondi has been selected as the godmother of the Giro d'Italia for this year. 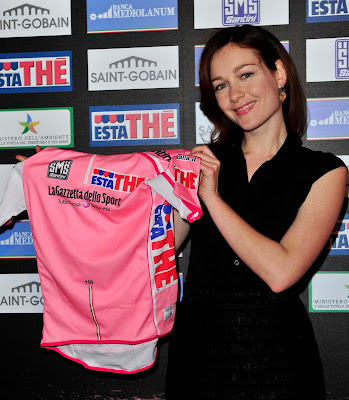 The pink jersey was designed by Jonny Mole and features a tricolor collar and a tricolor stripe on the front with "150". 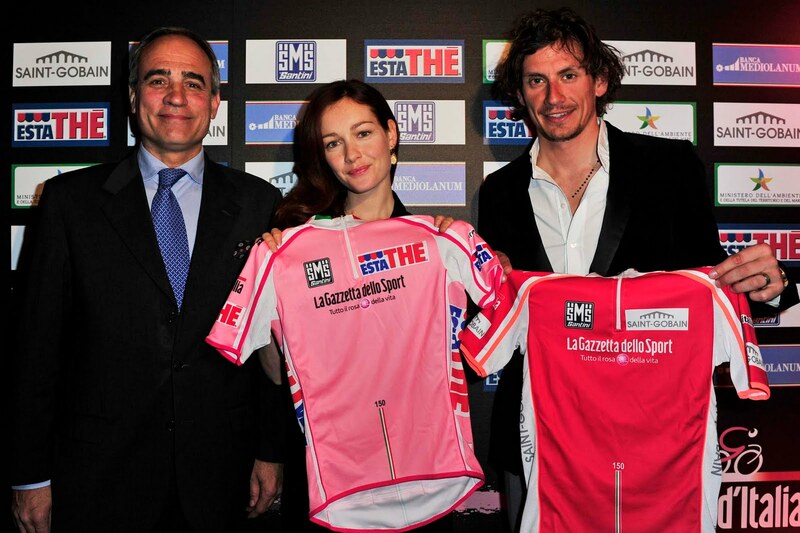 The start of the 94th edition of the Giro d'Italia will take place in Turin on May 7th with a 22km team time trial. The race, one of the three nationally designated events for the 150th anniversary of the unification of Italy, will touch 17 Italian regions, more than 60 provinces and 550 municipalities. 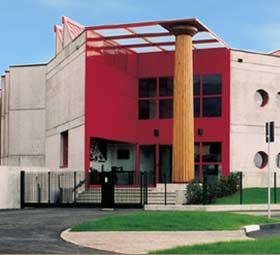 The final action will take place in Milan, Sunday, May 29, with an individual time trial. Garmin-Cervelo’s David Millar and BMC’s Alessandro Ballan are two of the first exclusively selected pro road cyclists that will be racing in fi’zi:k’s new cycling shoe for the 2011 season. Pro cycling fans may have caught a glimpse of Ballan in the new midnight black R1 –standing out distinctly among his teammates all white shoes - en route to his fourth place finish at Saturday’s Milan San Remo – pro cycling’s first monumental race of the season. That power transfer to the pedals to which Ballan refers is derived from the shoes 3D Flex System outsole. It’s a feature that both the R1 and R3 shoe models share, positioning each of fi’zi:k’s two new shoe models at the higher echelon of a high performance cycling shoe category. The 3D Flex System outsole is defined by a carbon fiber base for power transfer to the pedals; TEPEX® Heel Stiffener for firm heel support to eliminate wasted motion of the foot, and a nylon Mobius Rail for snug heel fitment. Fi’zi:k’s new R1 and R3 shoe models were introduced at the 2010 Eurobike and Interbike shows to the surprise of the cycling world, as fi’zi:k had kept the new product line under tight wraps. Their foray into shoe manufacturing completes the triangle of contact points on the bike for the 16 year-old brand: gluteus maximus to the saddle; hands to tape ; and feet to shoes. The men’s R1 (msrp $400) and the men’s and women’s R3 ($300) shoes are differentiated from competitors by a few distinct features: the use of Kangaroo leather for its ultra durability and soft touch, weather resistant racing sail cloth for the straps, and a highly customizable insole developed in partnership with SIDAS Technologies (R1 model). The men’s midnight black R1 (273 grams / size 43) is differentiated by A 100% Kangaroo leather quarter panel, toe and heel panel. Further distinguishing the two models is the R1’s buckle with carbon fiber loading lever and an inclusive custom molded insole using SIDAS technologies Flashfit sytem. The men’s R3 (258 grams / size 43) and women’s R3 ( 206 grams / size 38.5) use a microtex quarter panel with Kangaroo leather covering the toe and heel panels where the shoe needs additional reinforcement and strength. Both men’s and women’s R3 models feature an aluminum buckle and ergonomic design EVA insole. The men’s R3 is available in Racing Red; and white with black heel and toe. The women’s R3 comes in pure white; and a matte/glossy black with a crème stripe dividing the two materials. All models are handmade in Italy using a reverse stitching process along the outside of the tongue and collar called Rivalto. It is a traditional and revered Italian sewing technique known as an elegant method to finish the end of materials during stitching. 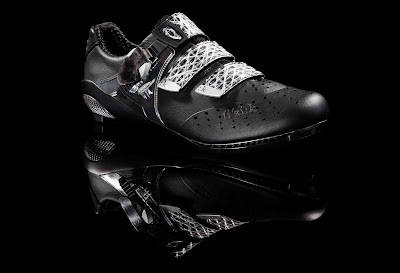 Fi’zi:k’s R3 cycling shoe models are in shops now. In the USA, fi’zi:k saddles, shoes and cycling accessories are distributed through their US subsidiary, Highway Two, www.highwaytwo.com, 877.395.8088; to find a dealer near you, email info@highwaytwo.com or call 1.877.395.8088. Bill & Carol McGann have been kind enough to provide us with the preface and an excerpt from their new paperback book, "The Story of the Giro d'Italia", A Year-by-Year History of the Tour of Italy, Volume One: 1909 - 1970". The book version is now available from Amazon and Barnes & Noble (.com); ISBN: 978-0984311767. The Kindle version will be available soon. 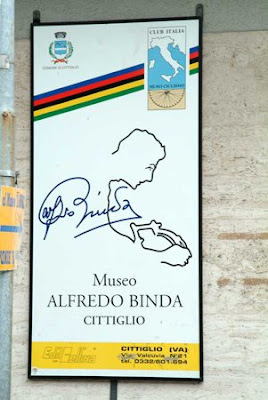 While working on our history of the Tour de France, I was struck by dearth of information available in English about the second most important race in the world, the Giro d’Italia. I say second most important, but I hope after reading this history the reader may come to hold the same opinion I have, that today it is the world’s finest race. The Giro ranks above all others not because it has a superior peloton or more fans or a longer history or greater prestige or more prize money. The Tour de France easily wins on all of those counts. But this is about sports, and sports are about competition, and there the Giro wins, hands down. Clearly, this is a story that has to be told. 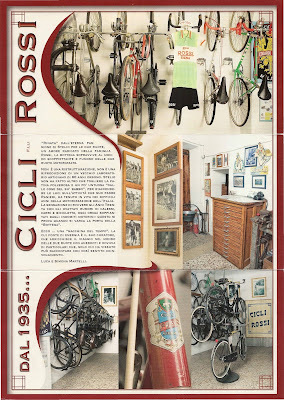 Here is the excerpt from the 1939 Giro d'Italia, there are a few changes to the text in the book in order to make it understandable in an excerpt. Because Gino Bartali had missed the 1938 edition where Giovanni Valetti had crushed the competition, what the tifosi wanted was a real head-to-head match-up between Italy’s two finest stage racers on their home soil. Bartali was ready and fit, having won Milan–San Remo from a six-man break that included Aldo Bini and Mario Vicini. 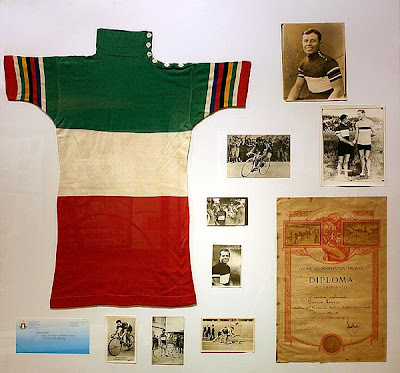 Valetti’s impact on the races of the time is much lighter than Bartali’s but we do know from the ferocity of the racing in the 1939 Giro that Valetti came to Milan on April 28 in truly sparkling form. There was perhaps one other rider entered who was close to the level of Bartali and Valetti that year, Vicini. 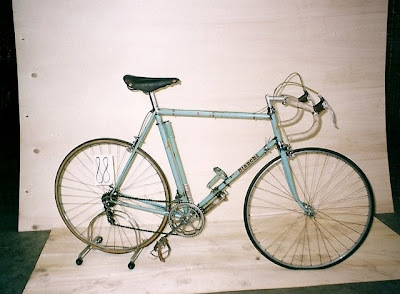 But the rest, Bergamaschi, Canavesi, Del Cancia, Di Paco and Cino Cinelli (the same Cinelli who went on to bicycle industry fame), to name a few, were merely excellent professional riders. Valetti and Bartali were extraordinary, the likes of whom turn otherwise superb riders into also-rans and mentions in Giro histories. The next day Bartali missed the break—part of his pattern of regularly being on the wrong side of peloton fractures—and finished seven minutes behind the ten-man winning group that just happened to contain Valetti. The only Legnano (Bartali’s team) rider in the escape was Secondo Magni. The break contained riders from Frejus, Bianchi, Lygie, Ganna, Gloria, La Voce di Mantova and Il Littoriale. All the major teams except Olympia and the Belgians had at least one of their men in the break. It was a perfect assembly of riders, several of whom were team leaders, to wreak maximum destruction on the hopes of the 25-year-old Bartali. 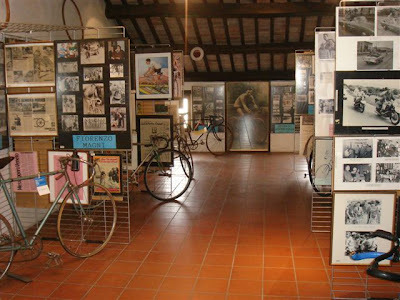 On June 4, a couple of weeks after the Giro concluded, 20-year-old Fausto Coppi, in the words of Philippe Brunel, “arrived on the scene and scrambled Bartali’s orderly life” by breaking away from the pack in the Tour of Piedmont. He was caught after his chain began slipping and finished third behind the day’s winner, Bartali. That evening Legnano team boss Pavesi signed Coppi to be a gregario for Bartali. The answer as to why the Colnago c59 150 isn't offered with Campagnolo is that the bike is specifically designed for the use of Shimano's Di2 electronic gruppo. Campagnolo's electronic group is still in testing (by the Movistar team). 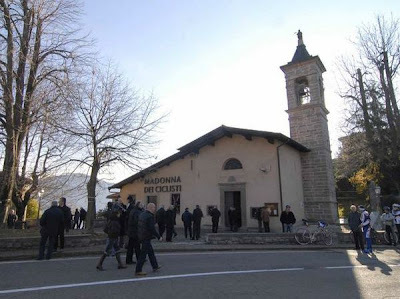 "160 registrations at an increased price which surchage is destined for charity (less the registration fee of 80 euro) to be purchased by credit card exclusively online on www.maratona.it on March 24th 2011 starting at 6 p.m. (GMT+1). This year the charity registrations will support 25 micro-projects for charity. 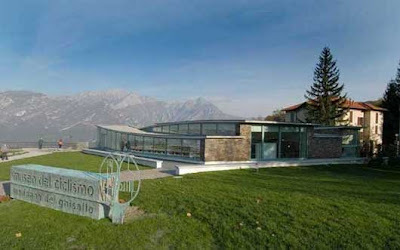 The projects will be handled for the most part by the Association "Insieme si può" Onlus/NGO (www.365giorni.org) of Belluno and of other local associations as Assisport Alto Adige, the rural solidarity fund "Südtiroler Bäuerlicher Notstanfond", the association "La strada - Der Weg" and the Cancer Association of South Tyrol. Further information: www.maratona.it/info/charity-2011/en". 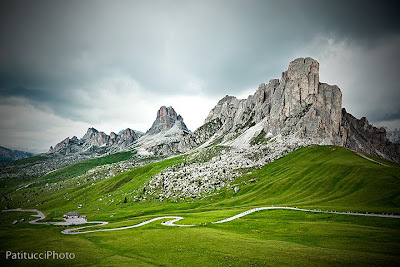 The Maratona will be held July 10th this year. 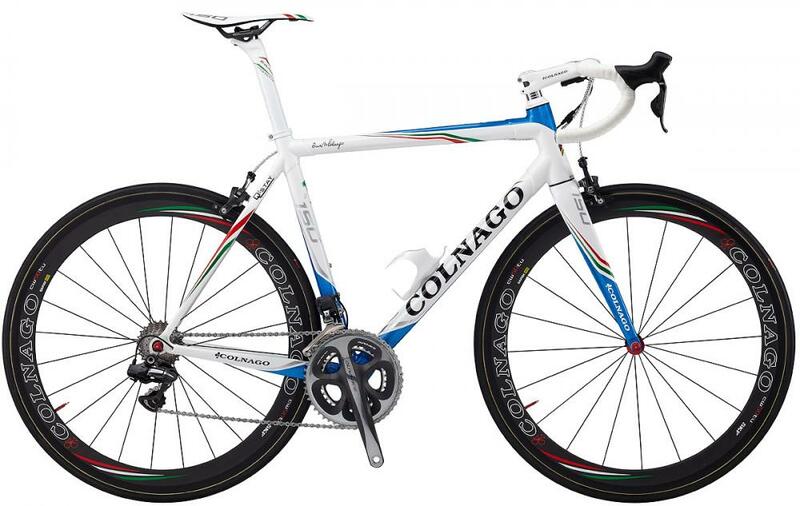 Here are better photos of the Unification of Italy edition Colnago C59 150; the 150 represents the 150th anniversary of unification.